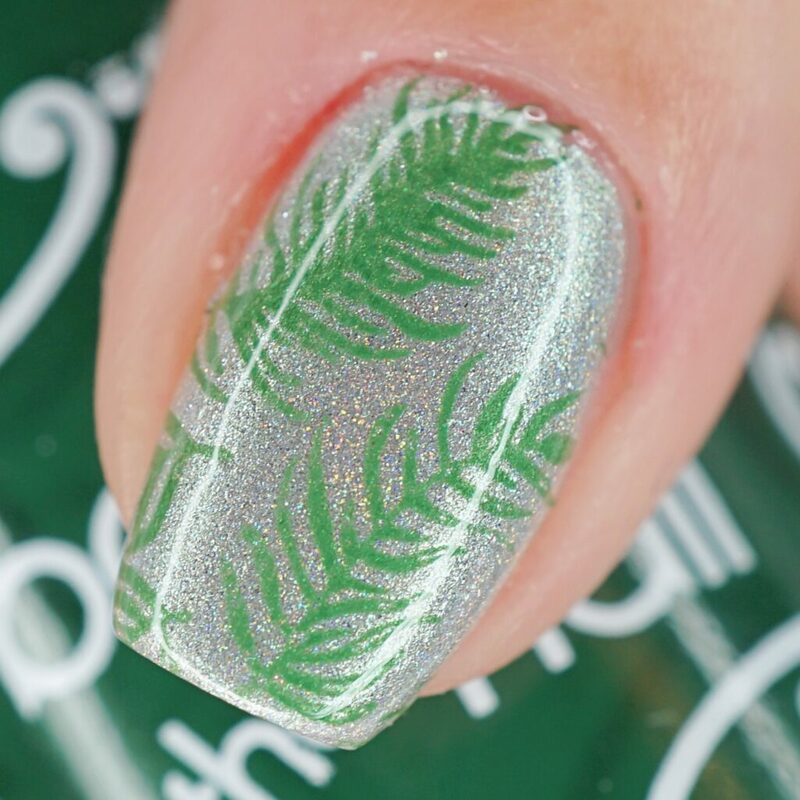 Going along with my previous two manicure’s for a Christmas theme, I used our holographic silver polish with a green shimmer, and stamped over it with this fun leaf print …or is it feathers? I thought they were leaves when I was first stamping but now the more I look at it, I think it’s feathers.. THOUGHTS?? Since I have a Christmas theme going on here.. I shall just stick with them being leaves lol! 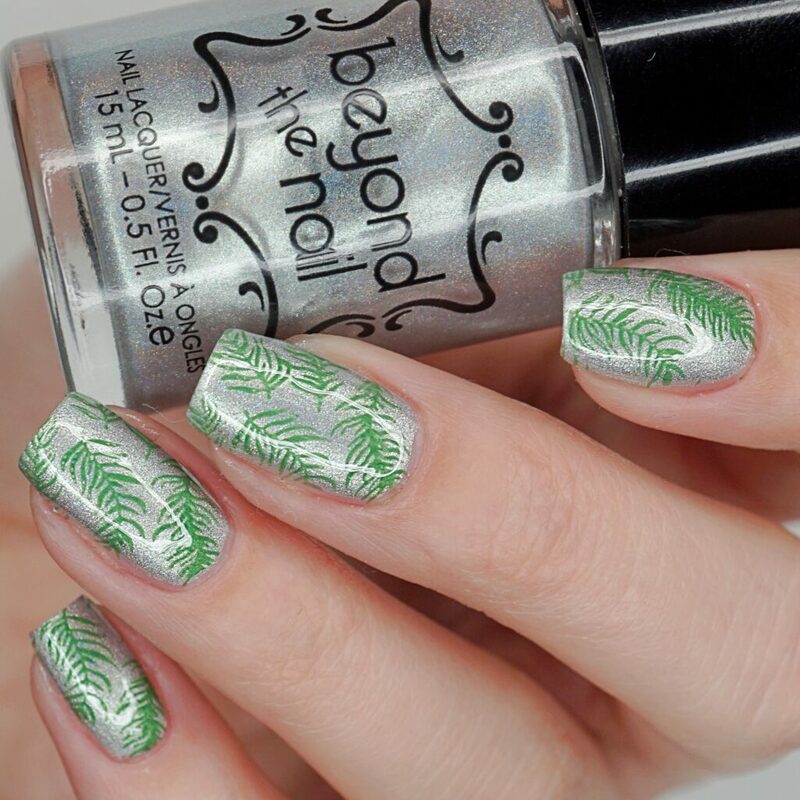 To start these Leaf Print Nails, I painted my nails with one coat of OPI – Nail Envy. Afterwards, I followed up with three thin coats of Beyond the Nail – Ghost of Christmas Future. When it was dry, I stamped over each nail using Beyond the Nail – Forest Green Creme and BornPrettyStore Stamping Plate PB-L043. To finish off the look, I painted over each nail with one coat of Beyond – Top Coat. 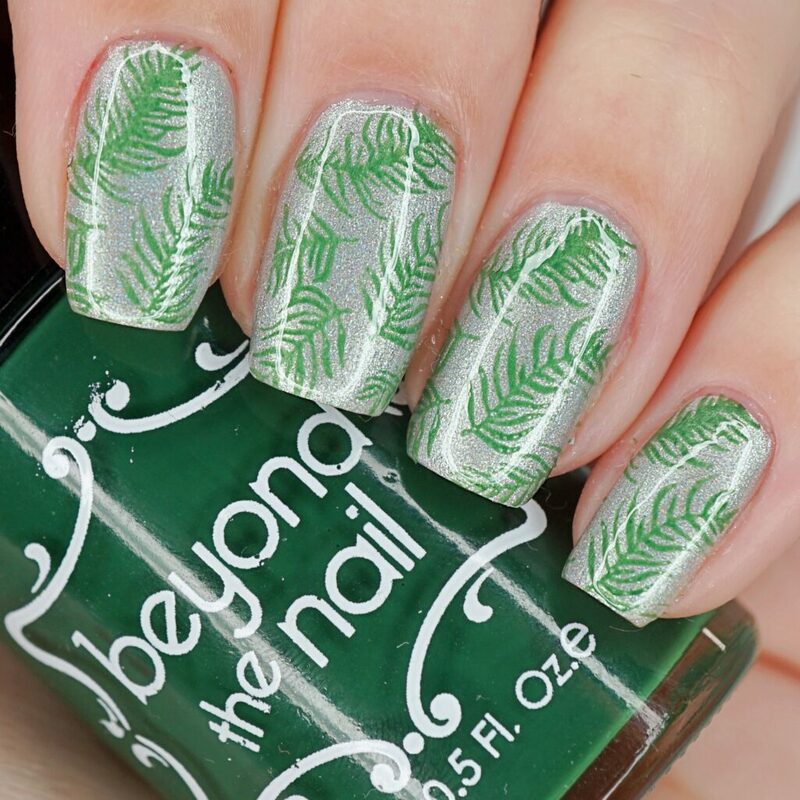 What do you think of these Leaf Print Nails? Do you think they’re leaves or feathers? !